Petr Zenkl, born on June 13, 1884 in Tabor, Austria-Hungary, was a political leader of the Czechoslovak anti-communist exile movement in the U.S.A. during the Cold War. From 1948 to 1972, he was perhaps the most well-known figure within the overseas exile community. Even after reaching retirement age, Zenkl continued to fight against communist regimes and lead the Council of Free Czechoslovakia, trying to make it the umbrella organization of the Czechoslovak exile movement. He took part in social aid to the refugees who fled to Western countries, lectured and published, and warned American officials and society against Communism. More generally, Zenkl´s beliefs were characteristic of Czechoslovak Cold War immigration – its unfulfilled hopes, failures, and disillusionment. Zenkl was originally a teacher by profession, a participant in the anti-Habsburg resistance, and then became mayor of Prague's district of Karlín. He was also a long time social worker, manager of the welfare service and one of the architects of the modern Czech social insurance system. Later he became Lord Mayor of the Czechoslovak capital city and, for few weeks in 1938, minister in two governments. He was a devout follower of the humanistic philosophy of Czechoslovak presidents T.G. Masaryk and Edvard Beneš, a prisoner at Buchenwald concentration camp during World War II and, immediately after the war, chairman of the liberal Czechoslovak National Socialist Party in liberated postwar Czechoslovakia, vice-president of the Czechoslovak government, and a tireless opponent of Communism. The “Victorious February,” as the Czechoslovak Communists labeled their successful coup on February 25, 1948, marked the beginning of another, equally important era in Peter Zenkl's life. On August 7, 1948, although closely guarded by the secret police, he and his wife Pavla managed to flee abroad with help from his friends and the U.S. Embassy in Prague. After a short stay in Frankfurt and London, he settled in the United States, where he met a number of other former politicians, colleagues, and Czech National Socialist Party members. Between the end of 1947 and March 1948, approximately 236,000 Czechoslovaks – including scientific, cultural, and political elites – fled to the West. Among them were thirty five members of Parliament, twelve ambassadors and ministers, twelve consuls, one hundred diplomats, eighteen generals of the army and air force, and hundreds of public officials. They decided to leave Czechoslovakia for political, religious, or other non-economic reasons. Their disagreement with the new “red” regime and its practices, "bourgeois origin" and the resulting confiscation of their property, loss of a job, or fear of imprisonment or execution spurred this flight. This wave of exiles has been labeled the “third exile” by contemporary Czech historiography. The first wave occurred between the years 1914–1918, during World War I, when Czech patriots and democrats ended Habsburg oppression and tried to build an independent state from afar. The second exile was the anti-Nazi resistance in Western Europe and the U.S. between the years 1938–1945. At the beginning of twentieth century there were more than 350,000 people of Czech ancestry living in the U.S.A. They built strong, supportive communities in Cleveland, New York, and Chicago (after Prague and Vienna, the third most populous Czech city in the world). These American compatriots financially supported the founding of the Czechoslovak Republic in 1918. Two decades later they provided millions of dollars for the liberation of Czechoslovakia from Nazi rule. However, when the “third wave” exiles, above all the former politicians, arrived in the U.S.A. in 1948, their compatriots did not welcome them with open arms. There was a feeling that Czechoslovak democracy had been lost because of the strong political ambitions and personal failures of these individuals, including Petr Zenkl. After some time, Czech-Americans began to cooperate with the post-1948 émigrés in the fields of culture, art, and education, but political differences and antagonism remained. Zenkl could not always rely on the help of American compatriots, who invited him for public lectures and meetings across the U.S.A., but frequently also considered him an untrustworthy, bankrupt politician, and a guilty party in the loss of Czechoslovakia´s democratic freedom. As a result, he had to look for allies overseas. Poland, Hungary, Albania, Romania, Bulgaria, and the Baltic nations had all fallen under communist rule by the end of the 1940s. Democrats and opponents of communism from all over Central and Eastern Europe had to flee. Their leaders found asylum in Paris, London and, primarily, in Washington D.C. The United States capital and the White House played a strategic role in the plans of the exiles. Harry Truman’s and Dwight Eisenhower’s administrations supported the efforts of Eastern European exiles as they held out hope for the fall of the communist rule and an eventual return to their homelands. The Americans were not prepared to unleash World War III on account of “captive European nations,” but they did not hesitate to utilize these Eastern European exiles for propaganda and intelligence purposes. In June 1949, the National Committee for a Free Europe – an organization backed by the CIA – was founded and soon employed prominent Eastern European exiles. In May 1951, Radio Free Europe began broadcasting from Munich. In September 1954, the first gathering of the supranational quasi-parliament, the Assembly of Captive European Nations, took place in New York with delegates from nine nations in attendance. The tools of the anti-communist movement were set up, and exile leaders would to play a key role in this struggle for many years to come. If an armed conflict broke out in Europe, Czechoslovakia would stand on the front line and many Czechoslovak exiles wanted to become liberators. For this, the Czechoslovak exile movement, which had splintered into many opinion groups and ideological streams (Christian Democrats, Socialists, Slovak separatists, radicals, etc. ), had to be united under a single leader. Zenkl was regarded by many as the “chosen one.” He was the oldest and the most experienced politician among the exiles, with popular appeal and a positive reputation abroad. Moreover, he had the aura of a hero who had survived the hardships of the German concentration camps. Most importantly, he represented continuity with the idealized pre-war republic, built on parliamentary democracy, humanistic socialism and a free market economy. On February 25, 1949, exactly a year after the “Victorious February,” the Council of Free Czechoslovakia was established in Washington D.C. and Peter Zenkl became its chairman. The governments of twenty-one countries officially recognized its establishment. Initially, the council claimed to be a kind of representative umbrella organization for the exiles, but the idea quickly proved unworkable. Many different political streams were represented among the exiles and it appeared almost impossible to unify them with a single platform. Naturally, disputes over concepts and objectives soon arose, as well as attempts to rehash postwar developments in Czechoslovakia and to bring a new point of view to controversial topics, such as the expulsion of Sudeten Germans and the future of the Slovak nation within Czechoslovakia. After a promising start, the Council – particularly its twelve-member Executive Committee – soon suffered from such fundamental fragmentation and contradictions that it could not effectively provide leadership. Throughout the 1950s and 60s, the council floundered in crisis; it crumbled and reunited again, and rapidly lost public support from the exile community and its American patrons. Zenkl could not prevent the breakup of the council and even shared some responsibility for the organization’s decline. In Czechoslovakia, he had been a deft politician, but he did not prove to be a strong leader in exile, lacking organizational talent. Instead of becoming the expert conciliator and peacemaker who could calm others and build consensus, he was more often the source of conflicts. Yet, Zenkl committed himself to the political cause despite several lucrative offers; for example, he was invited to be a lecturer at Columbia University in New York. The idea came directly from its then-president Dwight D. Eisenhower, who had met Zenkl in 1945 in Prague as commanding general of the American forces in Europe. Zenkl, however, decided to pursue political activities into his late eighties, despite the greatly diminished odds of tangible success. Beyond his activities within the moribund council, Zenkl met with Western officials, traveled around the U.S., Canada, and Europe. In September 1959, he was elected chairman of the Assembly of Captive European Nations. He published numerous historical, social, and political studies, and prepared regular papers on Czechoslovakia and Eastern Europe for the U.S. Senate. In October 1961, the American journal This Week published Zenkl´s article “How the Reds Plan to Smash the U.N.” as a warning to the delegates of the United Nations about the “Sovietization” of developing countries. The article received attention across the American political scene as well as on the international level and signified a real propaganda success for the Czechoslovak exiles. Zenkl consequently gave several interviews and lectured on Communist strategies for possible takeover. 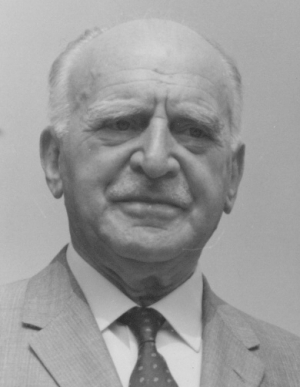 As an expert on welfare politics, Petr Zenkl was also involved in humanitarian aid to refugees (both for the more fortunate ones who obtained visas to Western countries, and for the displaced persons waiting in refugee camps in Germany, Austria, Italy, and France). The newly formed American Fund for Czechoslovak Refugees, led by well-known United Nations diplomat Jan Papanek, was one of Zenkl´s essential partners. Zenkl financially supported the fund and encouraged other prominent American leaders to contribute, including former first lady Eleanor Roosevelt and New York Senator Herbert Henry Lehman, who was born to German immigrant parents. Peter Zenkl was a prominent target of Communist propaganda for more than two decades. In a number of articles in the Rudé Právo newspaper, the name Zenkl was routinely used to embody the idea of the “villainous third exile” and became a synonym for the worst kind of traitor. Throughout the early 1950s, colorful expressions such as a “gang of Zenkl´s mercenaries,” “Zenkl and his crew of reactionary emigrants,” and “Zenkl, servant of world imperialism” were frequently used by the Czech press. However, this sort of infamy in the Communist media was an inseparable part of the lives of influential exile leaders. Zenkl's exile lasted for twenty-seven years. He left Czechoslovakia at the age of sixty four, the usual retirement age. As the leaders of the Czechoslovak postwar exile aged and passed away, their hopes of a return to their homeland slowly melted away. Petr Zenkl, the oldest among them, remained remarkably active in spite of international developments and the lack of interest within the exile community. After the death of his wife, he moved from Washington D.C. to live with his nephew´s family in North Carolina. He died at the age of 91 on November 3, 1975 and was buried at the Czech National Cemetery in Chicago, Illinois. After the fall of the Iron Curtain, his remains and those of many other prominent exiles, were moved to the Vyšehrad cemetery in Prague, the so-called center of Czech national pride. Zenkl, Petr. Masaryk's Czechoslovak Republic. Chicago: Czechoslovak National Council, 1953. Zenkl, Petr. T. G. Masaryk and the Idea of European and World Federation. Chicago: Czechoslovak National Council of America, 1955. Zenkl, Petr. Social Insurance in the U.S.A. New York: Czechoslovak Free Trade Union Federation, 1957. Jirásek, Zdeněk. Czechoslovak Migration after February 1948 and the Beginnings of the Exile. Brno: Prius, 1999. Lewis, Brackett. Peter Zenkl: Champion Anti-Communist. Chicago: Beseda J.V. Fric, 1956. Raška, Francis D. Fighting Communism from Afar: The Council of Free Czechoslovakia. Boulder: East European Monographs, 2008. Archives of Czechs and Slovaks Abroad, University of Chicago, Petr Zenkl Papers. Czech Heritage Collection, University of Nebraska, Petr Zenkl Papers 1945-1970.